Colorado's Best Kept Secret - A place for your soul. From the moment you arrive, the rest of the world disappears. Fresh mountain air and tucked amongst an Alpine setting makes this log home easy to disconnect to reconnect. Retreat to the wrap around deck, where the sounds of nature, the panoramic views, and the cool mountain breezes set the tone for a getaway like no other. The home is nestled in the Wet Mountains, on a paved road with year-around access, within a top-rated school district. 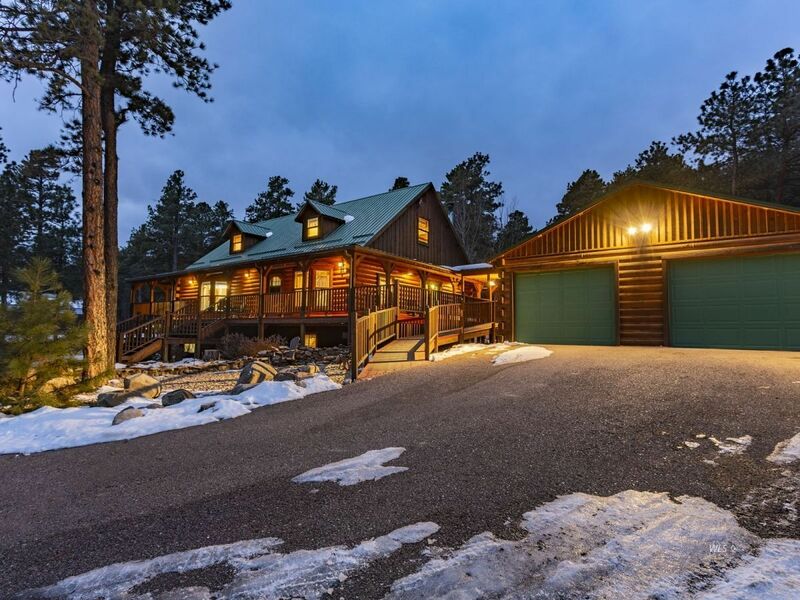 This charming log home features three bedrooms and four baths, open living/dining, cook-friendly kitchen and plenty of space for everyone to spread out. Enjoy starlit evenings next to the fire or morning coffee on the deck and watch the local wildlife. Need storage for your toys? There is a two car detached garage, storage shed and a place to store your RV. ALL of this and more are all part of The Best Kept Secret. The mountain experience to free your mind and body of stress and embrace nature's elegance.